NISBET, ROBERT A.: The Sociological Tradition. First /1./ edition. New York, Basic Books, (1966). 349 pp. Or.-full cloth with dust-jacket. 24 x 16 cm. Sligthly worn condition. Some rare pencil marks on the first pages. Dust jacket with rare foxing. 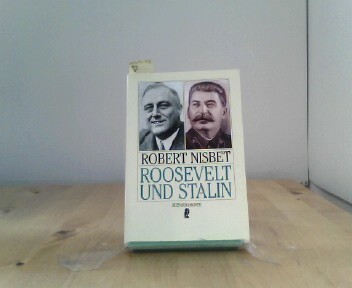 Nisbet, Robert A. The social bond. An introduction to the study of society. (Text Englisch). New York: Knopf. o.J.Antikbuch24-Schnellhilfeo.J. = ohne Jahresangabe (um 1973). Großoktav. 425 S. 1. O.leineneinband; bestossen, vorderer Spiegel mit Schildchen, Kleinsteintrag auf Titelei, sonst ordentlich erhalten.